Since the fashionable ars topiaria of 19th century landscaping, artificiality has been a characteristic trait of gardens, albeit with different interpretations.It is not inaccurate to define the garden as an “Artificial Paradise,” despite widespread attempts by landscape architects to correct this phenomenon. Before arriving at the extreme synthesis of design and nature known as the garden (the very concept is human), we stumble through border areas that defy simple classification, where nature and artifice do not appear to be such polar opposites. Woods and forests, for example, are an interesting case. Is there anything we consider more “natural” and “uncontaminated” than a forest flourishing far from man-made developments? Probably not, and it is no coincidence that the deep, dark woods are a breeding ground for human fears, fables and mysteries. Even the most unexpected places can teach us about our history. Archaeologists have shown that in prehistoric times, dwellings were abandoned a few decades after they were built to then be rebuilt elsewhere, a fate shared by the crops that had been planted to feed the inhabitants. When a previously cultivated area of land was abandoned, the forest that had been felled to make way for the settlement took over the earth once more. The tendency of the forest to re-establish itself ties in with the belief that by leaving things to their own devices and letting flora grow without any conscious intervention, it can reach a state of “potential natural vegetation”—in other words, a return to the state it was in before human settlement occurred. The typical forests of central Europe are predominantly made up of beech trees. This woodland composition is considered “natural” and is used as a model in programs to safeguard and restore forests. But it was only after the abandoning of settlements by human populations that the long-living beech (Fagus sylvatica) became the predominant species of the forests, over time creating pure formations (agglomerates of one species only). Prior to the establishment of the first villages there was another, more diversely populated kind of forest with a prevalence of elm, oak and hazelnut trees, which have become rarer and rarer, as proven by the analyses of pollen found in the soil. The lifestyle of prehistoric peoples therefore gave an advantage to the beech in central Europe, the hornbeam in central-eastern Europe, and the red pine in sub-alpine areas. These forests, archetypes of the untouched and impenetrable, are, in fact, the result of interaction in which the role of human beings is anything but insignificant. Of all the interaction between man and nature, the most ambiguous example has involved flowers. Thousands of years before genetically modified organisms had been developed, man had already shown the desire to influence the formation of plants and flowers in particular, using alternative yet powerful means such as patience, constancy and perhaps genuine obsession. Our love of flowers is almost universal, being common to nearly every culture in the world. Along with bees, we are probably the species that they attract the most. This passion of ours has been explained by neuroscientist Steven Pinker in his book How the Mind Works: primitive men who could recognize flowers and remember their location were at an advantage in the activity of gathering berries and fruit. In fact, those who were most skilled in this area could classify the plants by associating each one with its flowering and fruiting periods. Recognizing the flower before the fruit, then memorizing its position, enabled them to beat their rivals when it was time to gather the fruit. So our sensitivity towards flowers has been fine-tuned by evolution, leading us to permanently associate them with sensuous pleasure and utility, for the production of fruit and seeds, but above all to view them as the representation, metaphor and sometimes the very idea of beauty, the fleeting nature of time, the meaning of life and transcendence. 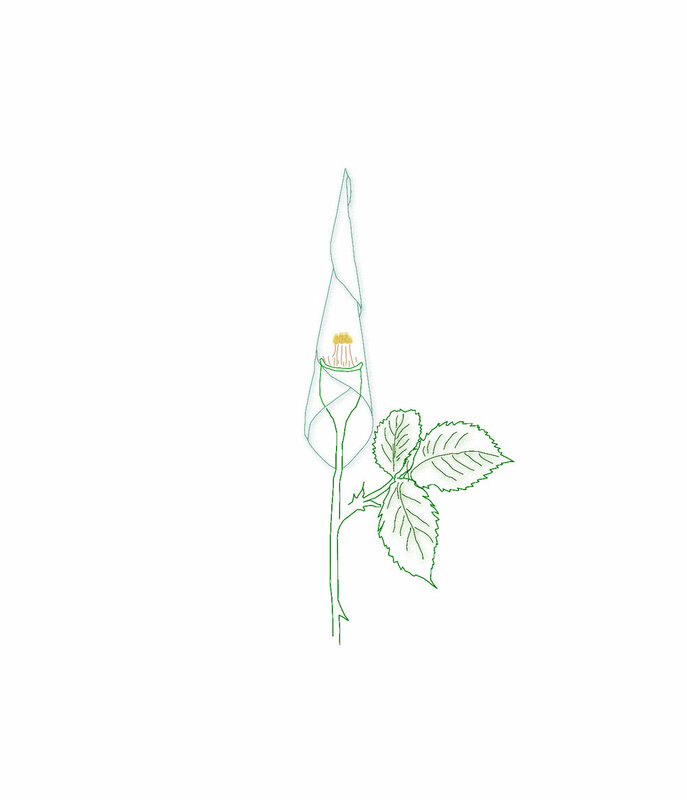 The human desire to give form to these metaphors has become a natural role of the flower. Over the millennia, we have asked plants, and in particular their flowers, to assume the most varied geometric shapes in order to formalize our own dreams. We have played with their genes through cross-breeding and patient selection, experimenting inside monasteries, villas and stately gardens, transferring genetic material from one side of the globe to the other. 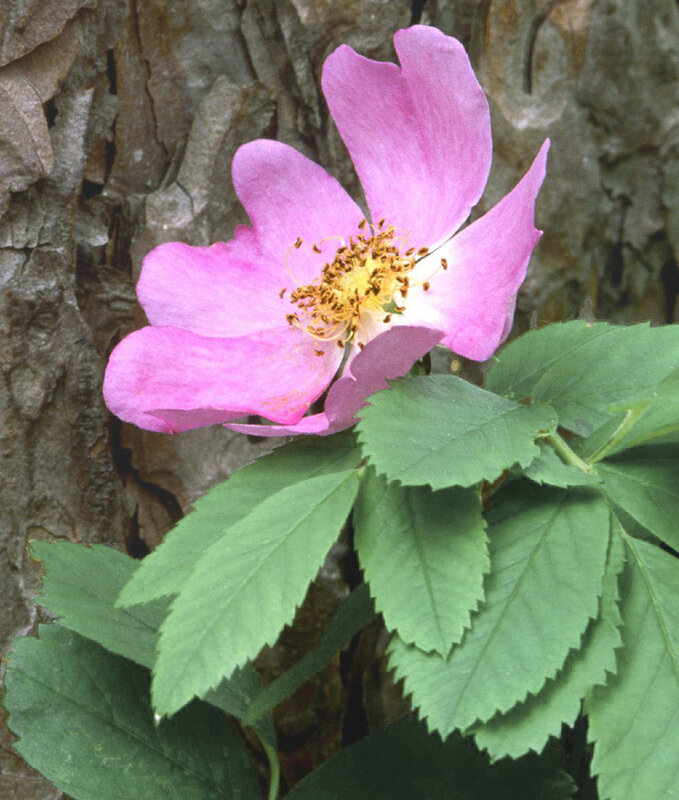 Along with other iconic and instantly recognizable flowers, such as the peony and the tulip, the Rosa genus boasts one of the most intense instances of human cultivation and hybridization. Perhaps no other plant genus has proven to be so suited to incarnating the changing human ideals of beauty down the centuries, taking on the most varied forms and colors and arriving at the ability to flower throughout the year. 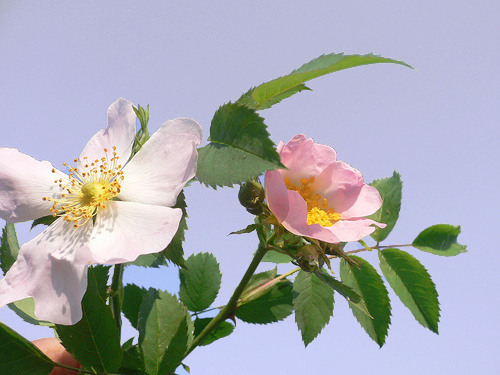 This perpetual flowering—a feature that is now associated with this “queen of flowers”— in fact did not exist before the discovery of Rosa chinensis in around 1890 (a very recent discovery for a plant that has been cultivated since Sumerian times). 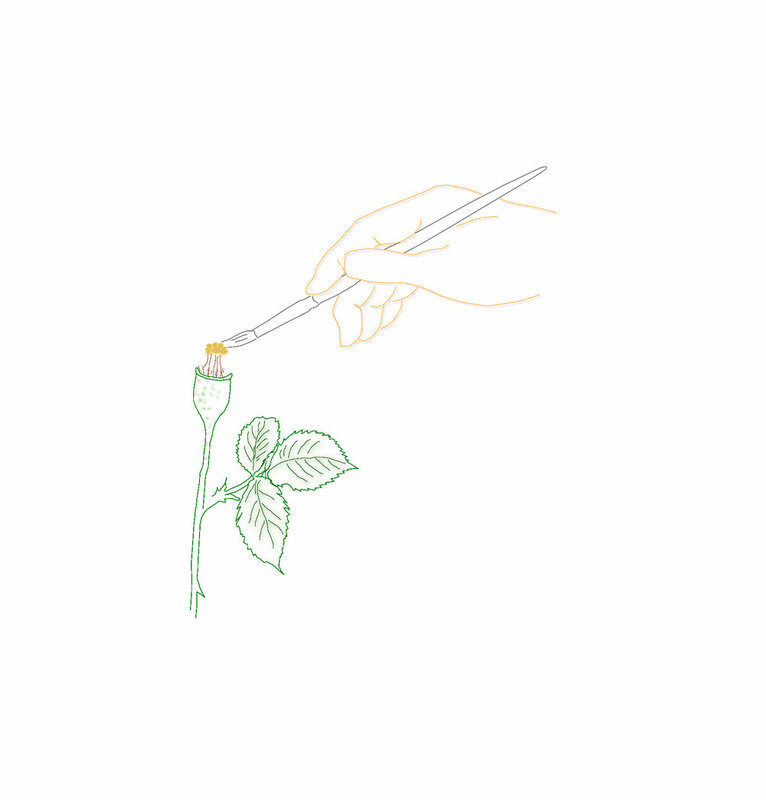 Through targeted crossbreeding, which still continues, the re-flowering genes have been fixed and today belong to the vast majority of the roses we grow in our gardens. 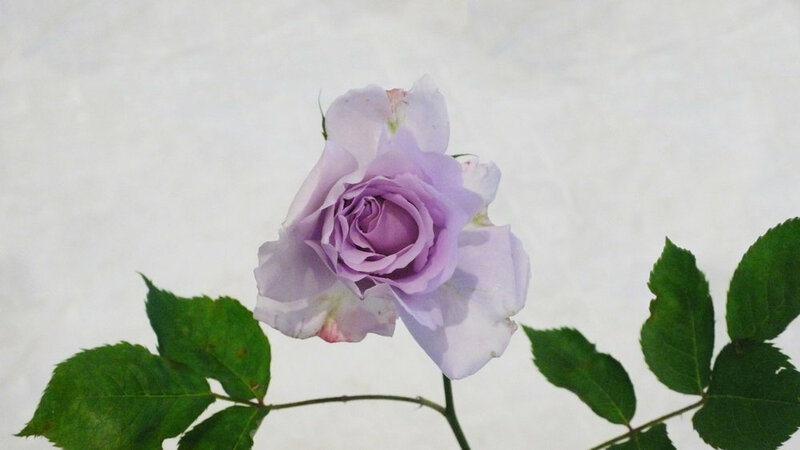 But earlier still there were corollas, which gradually grew more and more petals, in double and even more layers, ruffled at first, but slowly becoming more organized, until they took on the swirling look which is now the iconic image of the rose. 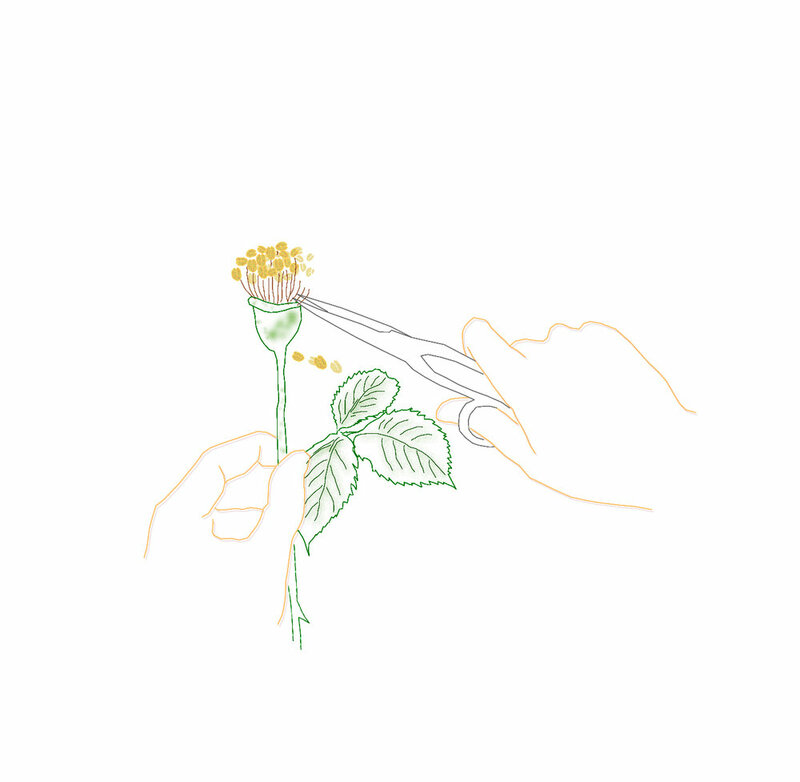 Not only has the flower changed, but so has the whole bush: from the soft pruning of botanical roses, tangled bushes with pliable branches, to the modern tea hybrids with stiff, straight branches, developed to be cut back and to support the considerable weight of the corollas. 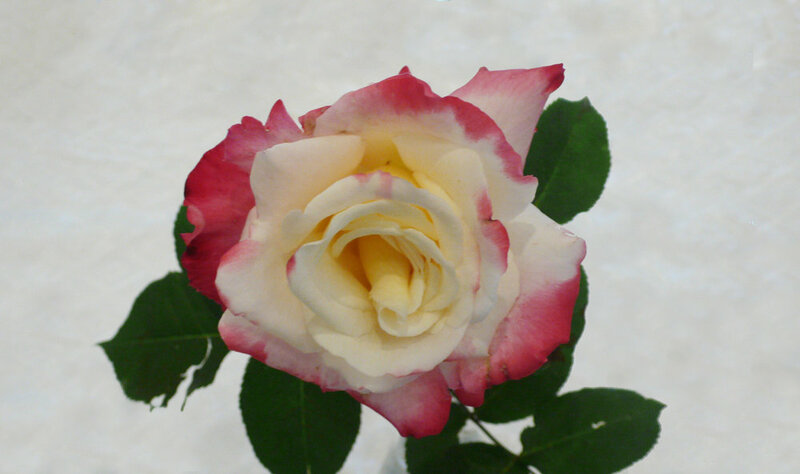 “Artificial Selection” was the term used by Darwin, in contrast to the natural kind, to define the process that has enabled the introduction of these new roses. As Michael Pollan explains in The Botany of Desire, this distinction appears superfluous and reveals in any case a human-centric vision. The plants with qualities that are most highly appreciated, by men or bees, have ensured themselves a wider line of descent and in a certain sense, they have exploited our desire in order to reproduce themselves. 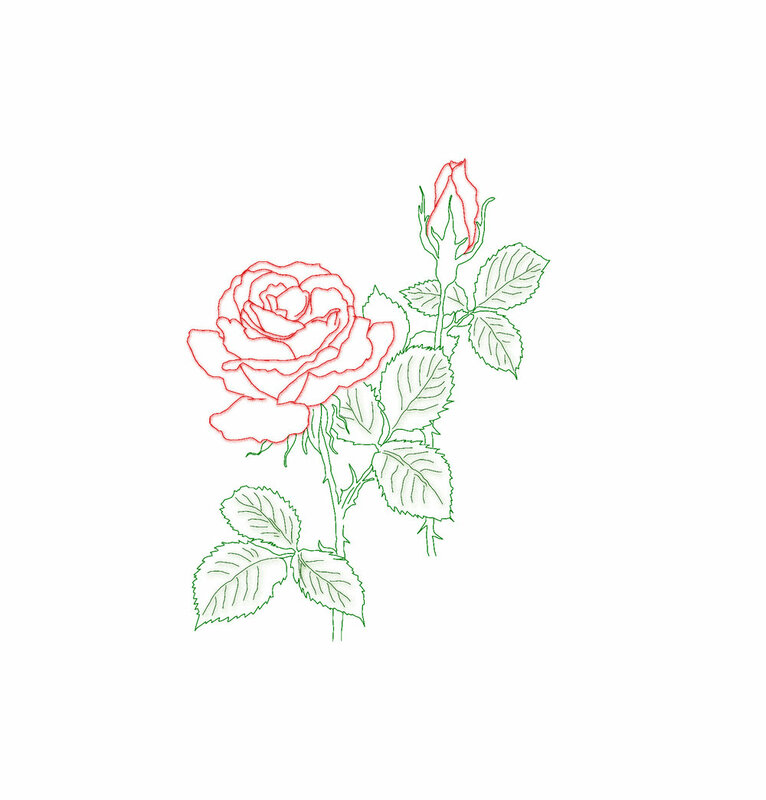 As with countless other species, there is an ancient pact between humans and roses, with arguable results, moving in directions that must be controlled. But it is certainly part of the genetic code and has been for a long time. It overcomes the contradictions between the terms “artificial” and “natural” and restores a semantic unity as well as a miraculous association between “instinct” and “idea”.